Discover how easy is to buy a new build villa in Vista Bella Golf, Orihuela Costa. 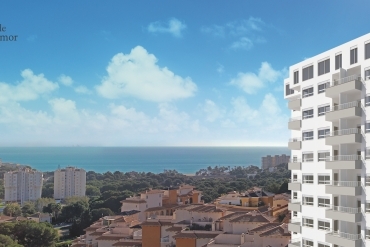 We offer a great selection of properties in Orihuela Costa. Vista Bella Golf is a brand new golf course in Orihuela Costa. It is a magnificent place where live and enjoy of your favourite sport daily. 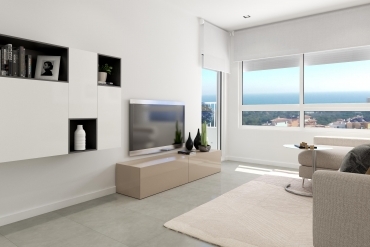 At Casas Espania we have a large experience in the real estate sector and we work hard to identify the best properties in Orihuela Costa and other points of the Costa Blanca. If you are looking for a new build villa in an amazing and beautiful environment, we can provide you exactly what you are looking for. We have a great selection of new build villas and other kind of properties close to Vista Bella Golf, so we want encourage you to discover our property range if you want to live surrounded by an amazing natural landscape in Orihuela Costa. The variety of dimensions, prices and features is really large, so we are convinced that we can offer the right villa for you in Vista Bella Golf. In the case that you do not find what you are looking for among our catalogue, just let us know it and we will be at your complete disposal to find the best villa for you and your family. To buy a new build villa in Vista Bella Golf (Orihuela Costa) will be a right decision. The distance to the local beaches is really short from the complex and the offer of basic services and amenities is really large in the area. In addition, the great road connections will let you reach easily other interesting cities of Orihuela Costa, as well as attractive points as the Alicante Airport or La Zenia Boulevard Shopping Centre. Contact today with us if you want to buy a new build villa in Vista Bella Golf, Orihuela Costa.